The Rainbow Nation Recycling Club, situated in Clarendon Marine just outside Kini Bay, runs a recycling programme that offers the local community an opportunity to exchange recyclable PET bottles for much needed day-to-day consumables. Run by Penny Anderson and Irma van Vyver, the project currently supports over 150 households on a weekly basis. The project is based on the recycling buyback concept, where waste becomes currency. Every Monday afternoon at 14h30, children are seen carrying bags of plastic bottles to the centre, where they are then weighed. For every one kilogram, two credits are given. Children are then accompanied into the shop where they can spend these credits. “It is a very humbling experience to see a child being given the power of choice, even for something as small as buying a tin of food,” shared Emmy Nxayeka, Schools Project Coordinator for The Waste Trade Company. The project is supported by The Waste Trade Company and forms part of their Schools Recycling Project. 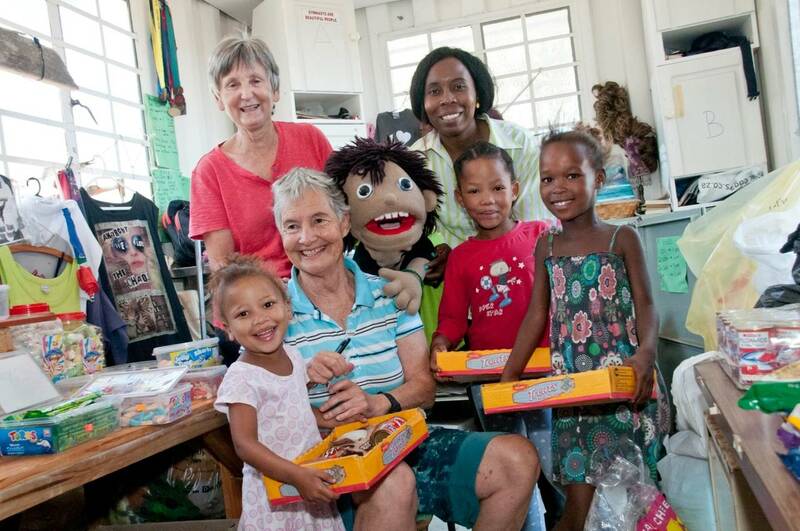 “We are not a registered NPO and we rely on donations and volunteerism, the financial rebates received from TWTC for the PET assist us to fill in the gaps where needed to sustainably run The Rainbow Nation Recycling Club,” said Penny Anderson. In addition to managing the buyback centre and offering environmental and financial education, Penny and her team also assist learners with homework during the week.